Norland Aviemore Log Cabin: The Norland Aviemore is a log cabin that features 2 rooms and 70mm wall logs giving this spacious garden building an extremely good level of insulation and sound resistance. 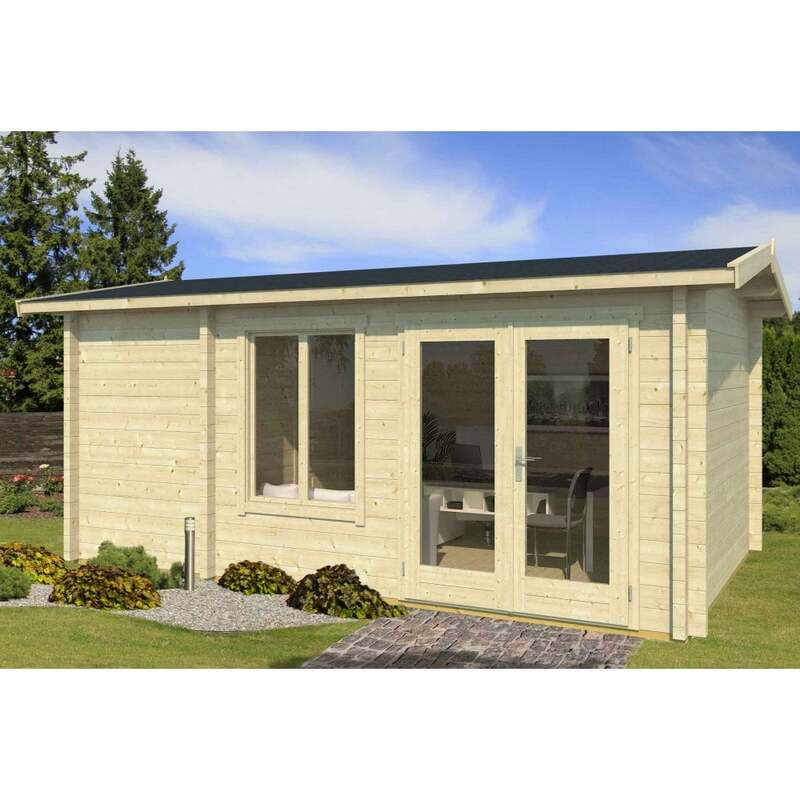 The Aviemore Log Cabin is ideal for many purposes including as a garden office, an extension to the living space or simply as a general purpose garden building. This cabin although generous in size still maintains a ridge height which is less than 2.5m in height so is ideal for the garden. This building has double glazed windows and doors and the wall logs are 70mm thick making this building suitable for all year round use with only a minimal heat source. There is the option to purchase roof insulation if you want to further enhance this building for use throughout the whole year. This building will be delivered in kit form and has interlocking corner joints for a classic appearance and straightforward build.